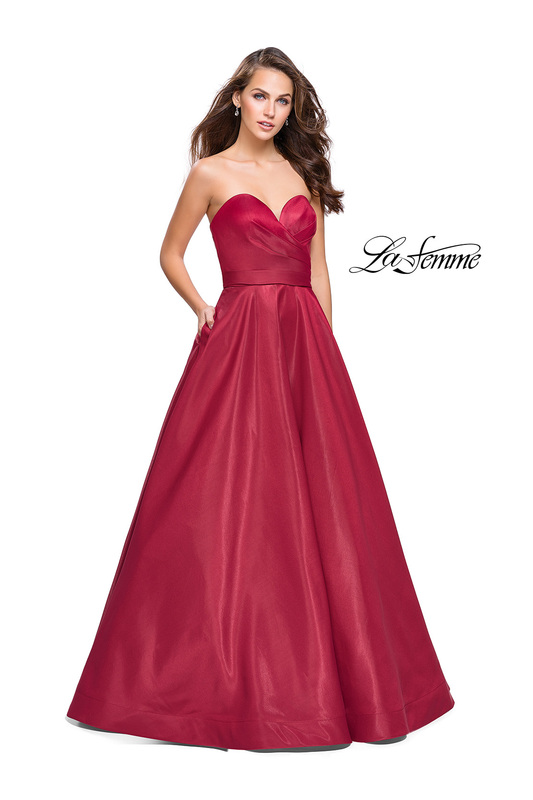 Elegant strapless ball gown with a criss-cross sweetheart neckline. 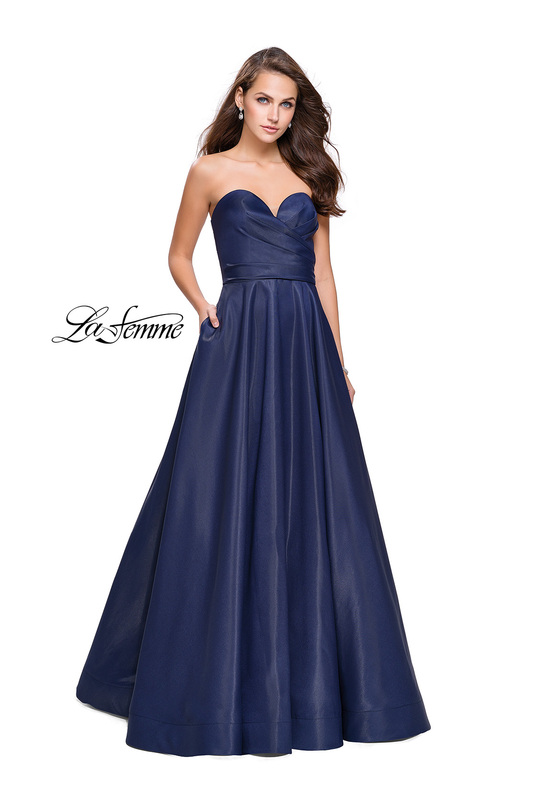 Features a wrapped bodice texture and pockets. Back zipper closure.